Q1 ’19 was a rebound from the lows of Q4 2018 for markets globally. Q4 ’18 ranked amongst the worst quarters in the last 48 years with MSCI World Index falling 13.9% in Q4 of last year. Since then the story has been different. 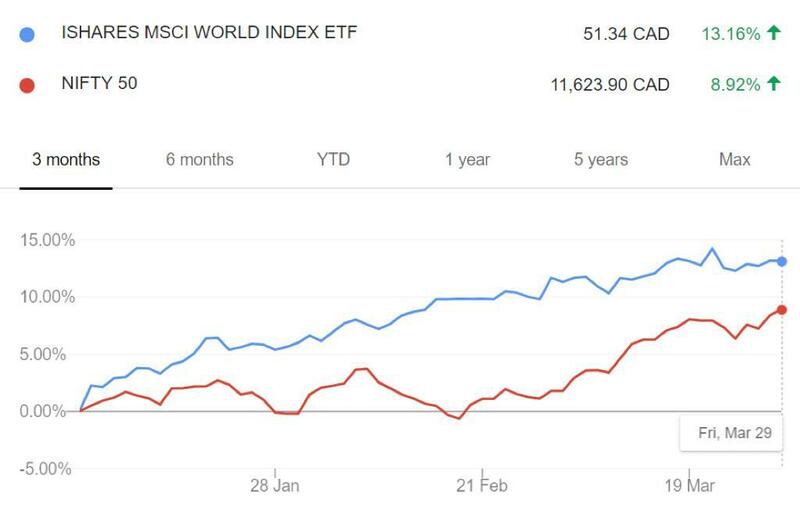 MSCI World Index ETF is up 13.16% in Q1 ’19. Q1 has been the best quarter for MSCI World Index since 2010. 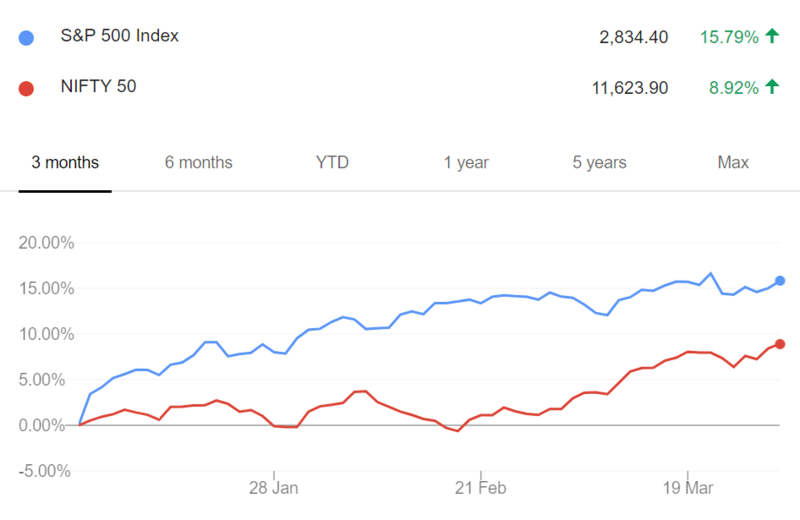 Last quarter was the also best quarter for S&P 500 since 2009. International diversification helps, and we recommend ICICI Prudential US Bluechip Direct fund in our recommended portfolio. The average assets under management of the Indian mutual fund industry rose to Rs 24.46 lakh crore in the Jan-March quarter, an increase of 3.55% from Rs 23.62 lakh crore during the previous quarter. With a 2.19% rise in AUM, HDFC Mutual Fund continued to remain the top fund house with an AUM of Rs 3.42 lakh crore. 1/ Mirae Asset has approved the change in Fundamental attributes of Mirae Asset India Equity Fund. The scheme will change from a multi-cap fund to a large cap one from 1/May onward and will be named Mirae Asset Large Cap Fund. Unitholders of Mirae Asset India Equity Fund who do not wish to retain their holdings in the scheme can redeem their units without any exit load between 1/Apr and 30/Apr 2019. 2/ Tata Mutual Fund has announced the resignation of Mr Prashant Joshi from his role as key personnel of the AMC. 3/ LIC Mutual Fund has announced that Ms. Sunita Sharma, Chairman & Nominee Director on the Board of LIC Mutual Fund Trustee Private Limited has resigned upon attaining the age of superannuation at LIC of India (Sponsor). Historically, there has been a bull market in commodities every 20 or 30 years.